SCIENTISTS are conducting experiments to change the sexuality of â€œgayâ€ sheep in a programme that critics fear could pave the way for breeding out homosexuality in humans. It raises the prospect that pregnant women could one day be offered a treatment to reduce or eliminate the chance that their offspring will be homosexual. Experts say that, in theory, the â€œstraighteningâ€ procedure on humans could be as simple as a hormone supplement for mothers-to-be, worn on the skin like an anti-smoking nicotine patch. 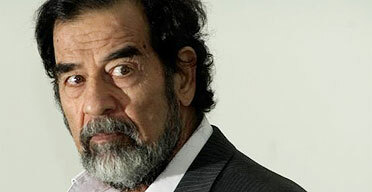 Saddam Hussein was hanged before the sun rose in Iraq early Saturday morning, just prior to 6am local time. Convicted in November of crimes against humanity over the killings of 148 Shi’ite villagers from Dujail after a failed assassination bid in 1982, his conviction was upheld by an appeals court which mandated that he be hanged within 30 days. Many Kurds seem disappointed that Hussein was executed for the Dujail killings, widely viewed as a test case for the larger, and more significant, Anfal genocide trial. That trial, which began in August, was chronicling, often in painful testimonies, the systematic killings of tens of thousands of Kurds with chemical weapons and poison gas. Hussein was scheduled to return to the courtroom Jan. 8. Not surprisingly, there are fears of increased sectarian strife between Sunni’s and Shiites in the wake of the former leader’s execution. Also executed by hanging were Saddam Hussein’s half-brother Barzan al-Tikriti and Iraq’s former chief judge Awad Hamed al-Bander – both of whom were also sentenced to death at the close of the same trial. Coming on the heels of announcements by Venezuela and Iran that they may ask buyers to pay for oil in euros rather than US dollars comes news that the value of euro notes in circulation is set exceed the value of circulating dollar notes, according to calculations by the Financial Times. Yesterday, the United Arab Emirates anounced that it was switching 8% of the nation’s foreign exchange reserves from US dollars to Euros. According to the Bank for Internaional Settlements, the share of foreign-exchange deposits held in dollars by OPEC fell to a two-year low of 65% during the second quarter of 2006. Perhaps more troubling is the announcement by China in November that it would look to diversify its foreign-exchange reserves, the largest in the word at $1trillion (US), away from the US dollar. China holds a large portion of US debt. In August, Italy announced it was selling off a large portion of its dollar reserves and instead buying British pounds. Recently, the US dollar hit a 14-year low against the pound sterling. Indonesia is also moving towards the euro and away from the dollar. The United States has criticised Israel’s decision to approve the construction of a new Jewish settlement in the West Bank. In a rare rebuke of its close ally, the State Department said such a construction would violate the peace plan known as the roadmap. Israel said 30 houses for former Gaza Strip settlers will be built in the Jordan Valley. The 2003 roadmap calls for a complete halt to all settlement activity. 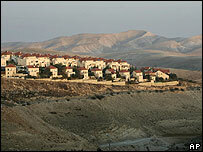 The EU condemned the Israeli settlement plan on Wednesday. WASHINGTON (AP) — Iran is suffering a staggering decline in revenue from its oil exports, and if the trend continues income could disappear by 2015, a National Academy of Sciences analysis found. He said oil production is declining and both gas and oil are being sold domestically at highly subsidized rates. At the same time, Iran is neglecting to reinvest in its oil production. The 40 million ton asteroid named Apophis, the Greek name for the Egyptian god Apep, known as â€œthe Destroyerâ€ will come so close (22,000 miles)Â in April 2029 that it will pass under many satellites and may destroy some. Astronomers fear that, although 2029 should pass without incident, coming so close to Earth might change Apophisâ€™s 323-day orbit around the sun â€” during which it crosses the planetâ€™s path twice â€” creating an even bigger risk in the future. A second close encounter is predicted for 2036. Since Apophis was discovered Nasa scientists have been drawing up proposals for diverting it or any other asteroid that might present a threat. Nasa estimates that if it hit Earth it would release energy equivalent to the detonation of 880 megatons of TNT. Senator Biden NEW YORK (AP) – Democratic Sen. Joe Biden wants you to know he is running for president. Definitely. Unequivocally. Absolutely. “I’m the only guy who will tell you honestly what I’m doing. The others won’t tell you, but I will,” Biden said, wrapping up a fundraising trip to New York before heading to New Hampshire, his ninth visit in just over a year. He’s also campaigned extensively through other early voting states, spending 17 days in Iowa, nine in South Carolina, and four in Nevada. Considered one of his party’s most experienced spokesmen on international affairs, Biden will assume the chairmanship of the Senate Foreign Relations Committee next month. He plans immediately to convene a series of hearings on the Iraq War – a high visibility platform for him to showcase his expertise. 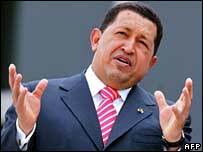 He’s also been actively promoting a detailed plan for peace in Iraq that would divide the country along ethnic lines. Venezuela has expressed interest in an Iranian move to ask buyers to pay for oil in euros rather than US dollars. Iran, the world’s fourth-biggest oil producer, has already asked customers to pay for its oil in euros because of the current weakness of the dollar. 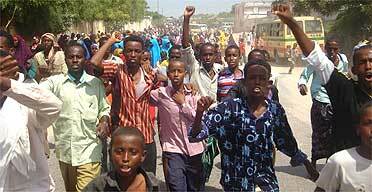 Ethiopia today pressed on with its offensive against Somali Islamists and threatened to seize the Somali capital, Mogadishu. At least two Ethiopian jets fired missiles on retreating Islamist forces, prompting the interim Somali government to claim a partial victory. Ethiopian warplanes attacked the Mogadishu airport on Monday in a major escalation of fighting between the Ethiopian-backed Somali government and the Islamic Courts movement that in recent months has taken over much of the country. Ethiopia has become increasingly concerned over the Islamist challenge to the interim Somali government, especially after the Union of Islamic Courts issued a call for Muslim fighters around the world to join their “jihad” in Somalia. Russia is continuing to exert pressure over its neighbors with natural gas prices as it tries to bolster its influence and power in the region. After halting all gas supplies to the Ukraine last year, Russia has been accussed by many in the international community as using energy as a political weapon. Russia insists the new prices simply reflect market rates, and that the former Soviet republics cannot continue to expect subsidized prices. Gazprom, Russia’s state natural gas monopoly, threatened neighboring Belarus on Monday over its refusal to agree to tough conditions on a price increase, saying its supplies could be at risk on Jan. 1. In exchange for a smaller price increase, Gazprom has proposed taking a major stake in Beltransgaz, the Belarusan transport network whose pipelines handle a significant part of Russia’s exports of gas to the rest of Europe. On Friday, an hour after Gazprom thereatened to cut off supplies entirely, Georgia agreed to pay $235 per 1,000 cubic meters, almost double the current price. Georgia has until then refused to accept the demands, saying it was being punished for political reasons, and had announced that Azerbaijan would be its main gas supplier for 2007. Russia and Georgia have been in a diplomatic row since Georgia arrested four Russians for espionage in September, to which Russia responded with a blockade on the country, among other measures. 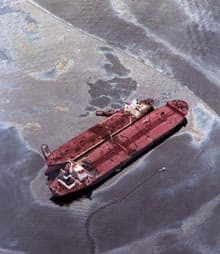 A US court has almost halved the damages oil giant Exxon Mobil must pay for a 1989 oil spill off Alaska. The San Francisco Federal appeals court reduced the payment from $4.5bn (Â£2.3bn) to $2.5bn (Â£1.3bn), saying the previous decision had been excessive. It is the third time damages in the case have been reduced. TEHRAN (AFP) – Iran has maintained its defiance of UN sanctions over its nuclear programme, declaring it was heading towards enriching uranium on an industrial scale and mulling a reduction of cooperation with the UN atomic watchdog. The UN Security Council on Saturday imposed its first ever sanctions on Iran over its failure to heed calls to suspend uranium enrichment, a process that can be used both to make nuclear fuel or a nuclear bomb. Meanwhile, the Iranian parliament held the first session of debate on a bill that would require the government to reduce its cooperation with the UN nuclear watchdog in retaliation for the sanctions move. 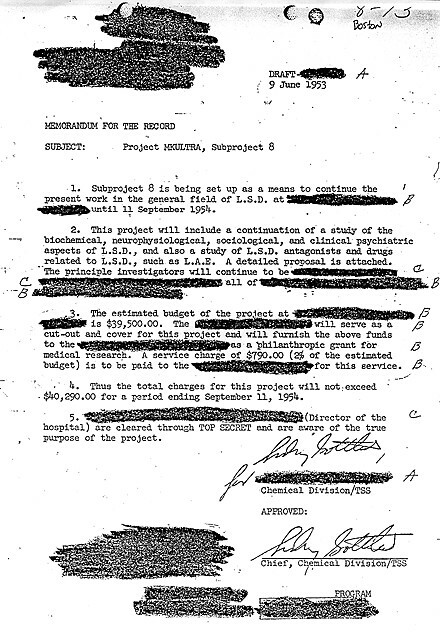 Within those documents lie the most turbulent episodes of the 20th century: the 1979 Soviet invasion of Afghanistan and the Vietnam war, the CIA’s unauthorised experiments with LSD and its internal thinking on a raft of investigations into coups and assassinations overseas, and the FBI’s hunt for communist sympathisers on US soil. Spain is introducing a female quota for all electoral lists, which will force political parties to give at least 40 percent of their candidacies to women, press reports said Friday. The quota is also valid for men, who must make up at least 40 percent of candidates. Rep. Virgil Goode (R-VA): Klan member? Some conservatives (the kind that have a white dunce cap and bedsheet in their closet) are enraged that Representative-elect Keith Ellison (D-MN), a Muslim, wants to take his private oath of office on a Koran and not a Christian bible. Really, who does this guy think he is? I fear that in the next century we will have many more Muslims in the United States if we do not adopt the strict immigration policies that I believe are necessary to preserve the values and beliefs traditional to the United States of America and to prevent our resources from being swamped.